April has been designated as Oral Cancer Awareness Month. This is a time set aside for dentists around the country to encourage patients to visit for a preventive care appointment, at which time they’ll receive an oral cancer screening. 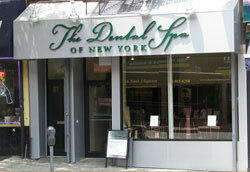 Read on to learn why it’s so important to be proactive and pay your dentist in Park Slope a visit. It is estimated this year, nearly 50,000 people will be diagnosed with oral cancer, a disease that can affect the mouth and throat. To reverse this trend, dentists are working together to raise awareness about the condition and the importance of early detection through preventive care. Then, if there are any signs of the disease, a plan of action can be developed to fight it. This is important given that the five-year survival rate with early detection and treatment is 75% as opposed to 20% when the cancer has already begun to spread. Generally, you should visit your dentist for preventive care every six months. 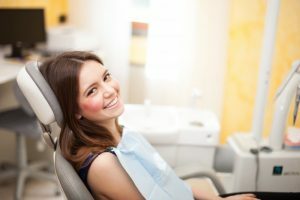 While there, you’ll receive a thorough cleaning and an examination from your dental hygienist and dentist. Part of your dentist’s evaluation is to perform a full oral cancer screening. The professional will be looking for any of the above symptoms. Then, if there is a positive diagnosis, the dentist will explain what the treatment options are. One of the simplest ways to protect yourself from oral cancer is to practice excellent oral hygiene, which includes brushing and flossing your teeth at least two times a day. In doing so, you’ll be keeping bacteria at bay. This is critical because untreated bacteria that leads to advanced gum disease is one of the major contributors to the development of oral cancer. It’s also important to limit your consumption of alcohol and to completely avoid tobacco usage, as the combination of the two have been found to cause the majority of oral cancer diagnoses. With some discipline and a proactive attitude about your oral health, you can increase your chances of avoiding or beating oral cancer so you can have a rich and fulfilling life. Dr. Frank Sapienza has been providing the best in dental care for over 30 years. Still, the New York University College of Dentistry graduate maintains the same zest for learning that he had when he first entered the dental field. Therefore, Dr. Sapienza takes hours of continuing education courses annually to stay abreast of the latest developments in dentistry. He provides top-notch preventive care, which includes oral cancer screenings, at The Dental Spa of New York, and he can be reached for more information through his website.